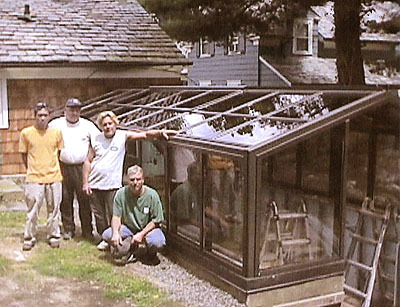 Richard Diesl (2nd from right) and one of his teams constructing a new greenhouse at a Greenwich, Connecticut home. Richard Diesl is the founder and owner of Glass Garden Builders of Old Lyme, Connecticut. 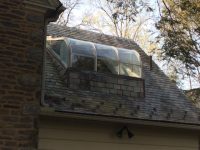 Richard’s love of and expertise in greenhouse repair and greenhouse construction began as a boy 40 years ago with his restoration of a Lord & Burnham iron and cypress greenhouse at his family’s home in Westchester, New York. 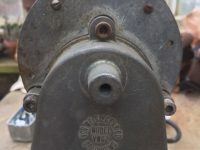 By age 16, he became the youngest Lord & Burnham Greenhouse employee, working extensively on greenhouse restoration as well as new greenhouse construction throughout New England and the Northeast. In 1987, Richard founded Glass Garden Builders and brought with him a greenhouse contractor team that today has 105 years of collective Lord & Burnham greenhouse building and restoration experience. Richard and his fellow greenhouse builders have worked on greenhouses, solariums and conservatories for both residential and institutional clients, and handle all aspects of the work including heating and air conditioning, plumbing, electrical and other greenhouse parts as well as building or repairing the greenhouse itself. Richard has personally done work for clients such as the Rockefeller Estate in Tarrytown New York and both the New York and the Bronx Botanical Gardens. 1 Restoration of more than 100 Connecticut greenhouses, including many Victorians originally constructed by Lord & Burnham. 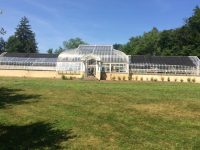 2 Greenhouse Construction work on more than 500 greenhouses, solariums and conservatories for residential and institutional clients throughout Connecticut and the rest of the Northeast. 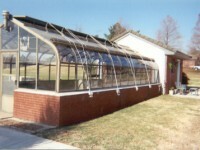 3 Help with greenhouse parts and service to nearly 20,000 satisfied customers.